e-MDs is a leader in the Electronic Health Record space. 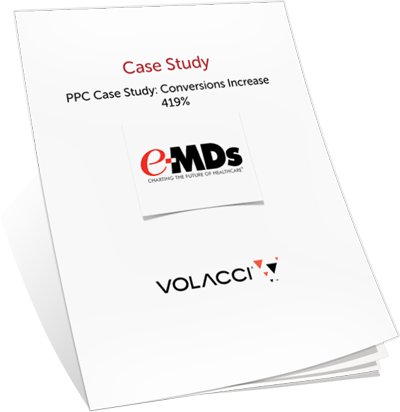 Learn how Volacci revamped e-MDs paid search campaigns to focus on more targeted terms and use higher converting ads. Their revitalized campaigns increased e-MDs' conversion rate by 419% and reduced monthly spending by 38%. Discover the strategies employed to get these results and more. Please sign in to download this free premium content from Volacci.